I haven't watched a minute of the DNC Convention. First time I can remember not watching it gavel to gavel since I was in college. Funny, I don't think I've missed a thing. Alas, I will probably break down and watch John Kerry tonight -- out of respect, yea that's it, respect. Why doesn't Anybody But Bush (ABB) include Ralph Nader? Remember 9/12/2001 when everyone, and I mean everyone, was saying, "Thank God, the adults are in charge"? Anyone change their minds after watching Al Gore lately? And if ABB was a such a bad idea then, why is it a good idea now? If Michael Moore was listening to John Edwards speech last night that was transformed from Two Americas to One America, do you think, "Dude, Where's My Country?" crossed his mind? It is sad to me that Joe Lieberman is on the outside looking in this week. Almost as sad as Al Sharpton being considered acceptable in polite society. Imagine the coup the RNC would have in getting Harold Ford or Barak Obama to break ranks and switch sides. It's been said before, but if John F. Kennedy were alive today, he'd be a Republican. 1. He hit a home run. 2. He hit a grand slam. 3. He won the World Series. 4. He scored a touchdown. 5. He won the Super Bowl. 6. It was a slam dunk. And to be fair, the same tax applies later in New York for George W. Bush's nomination acceptance speech. That will get us back to a surplus to make room for more tax breaks! Hmm, maybe there's a drinking game in there. As James Lileks noted, the elephant in Democrat's living room (pun intended) is Al Qaeda, but no one in Boston is all that anxious to talk about it, unless they are apparently blindfolded and describing just what they call feel up close and personal. I heard John Edwards on the radio today say this November was the most important election in our lifetime. Self-serving nonsense. The most important election in my lifetime was 1980. Can you imagine Jimmy Carter saying, "Mr. Gorbachev, tear down this wall."? Heaven help us if there's another election in my lifetime that is more important. And yes, that means we will survive if Kerry does somehow win. Anyone else notice that Teresa Heinz Kerry's impressive language skills are limited to European languages? Maybe the 2008 Democratic Convention will be more fun. Perhaps they'll dispense with the happy face, have a nice day approach after Kerry gets pasted this fall. That and the likelihood that Hillary won't quite be the lock that some are projecting ought to make it fun. IMHO, John Kerry's Vietnam service is pretty much off-limits. He served in a dangerous time and at a dangerous place doing a dangerous job. I can only hope that I would have done as well in a similar situation. On the other hand, Mr. Kerry's actions after he returned and his shameless exploitation of his service since then is fair game. 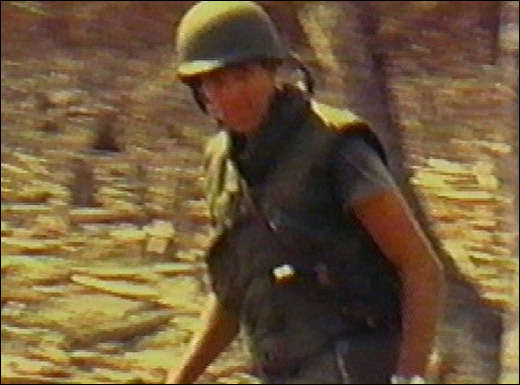 Millions of men served honorably in Vietnam and I've personally met hundreds of them. I think I've heard John Kerry talk more about Vietnam than all the rest of them put together. Is there anything less becoming of a real war hero than to walk around telling everyone that's what you are? Similarly, George W. Bush's National Guard service is pretty much off-limits. He did his job and I'm certain he would have gone to battle if he had been called up. Not everyone in the military rotated through Vietnam. Doesn't this still from John Kerry's film tonight look like a still from the Bigfoot films? Has anyone else noticed that all former Democratic presidents and losing aspirants have to be "rehabilitated" in a future convention? With the exception of Nixon, I don't think this has been true of Republican presidents and losing contenders in my lifetime. Is the New York Times a liberal paper? No, wait, that's already been answered. Will John Kerry follow his own advice and start showing up for his day job if Congress takes his advice and stays in session for the next eighteen months to address the 9/11 Commission's recommendations? On November 3, perhaps the rank and file will finally accept that Dukakis getting thrashed was not a fluke. I put the odds at about even that both parties will have a black candidate on their respective tickets in 2008. Anyone else find it strange that no Americans are being kidnapped in Iraq? I can't wait for LOTR IV this Christmas. "I can't wait for LOTR IV this Christmas."